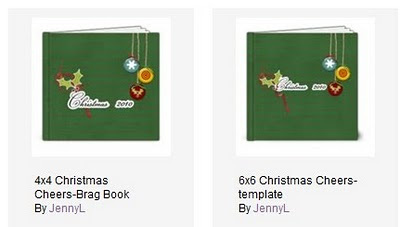 I've been very busy these past few days because I've been working on my Christmas kit and Christmas Photobook at Artscow. 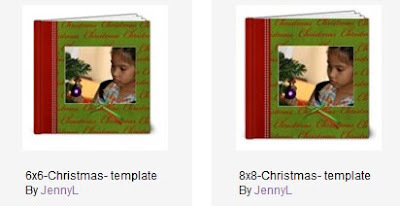 Actually, I'm a little bit late in launching my Christmas kit at Artscow as many customers already ordered their Christmas ornaments as early as 1st week of November. Anyway, if you're still thinking of what to give this Christmas for your loved ones then I can suggest that you can make a nice brag book or photobook. Guys would love to get hand rolled cigars but women will be pleased to have personalized items such as photobooks, bags, cosmetic cases and more. Here are some of my Christmas photobooks at Artscow (available in many sizes: 12x12, 8x8, 6x6 4x4) that you can use for FREE at ARTSCOW. Just drag and drop your photos and it's done.